We receive and store offline (not on this website) any information you enter on our website or provide us via email or telephone. You may exercise your right to have your personal data removed from our records at any time by contacting us at theoctagonstudios@hotmail.com or by the methods explained at the end of this notice. Our website contains images and videos of minors. We always seek and obtain the permission of parents or guardians before adding any such media to this website. If you are a parent or guardian of a child who is featured in such media, and you no longer want the media to be publicly shown, you have the right to have that media removed from the website. We have introduced some amazing new classes on Fridays - Aerial Hoop and Acrobatic Dance - suitable for ages 6 years right up to adults. Taught by Hannah Pyrah and Belinda Howe it is essential to book in advance for these and all our new classes as places are filling up fast! Hannah Pyrah is an ex-student of Octagon Studios who has returned to teach here after training and dancing professionally. 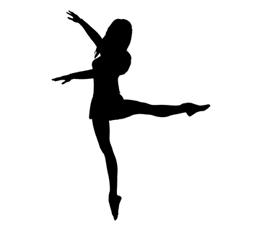 Hannah has re-launched ‘The Elysian Dance Company’- the professional company based at the studios and is looking for professionally trained local dancers to join the company. Contact theoctagonstudios@hotmail.com or Tel. 01353 661919 to apply for an audition.